It's called vaseline as it resembles jelly and is translucent, also called uranium glass which is sometimes less delicate and usually greener in colour. 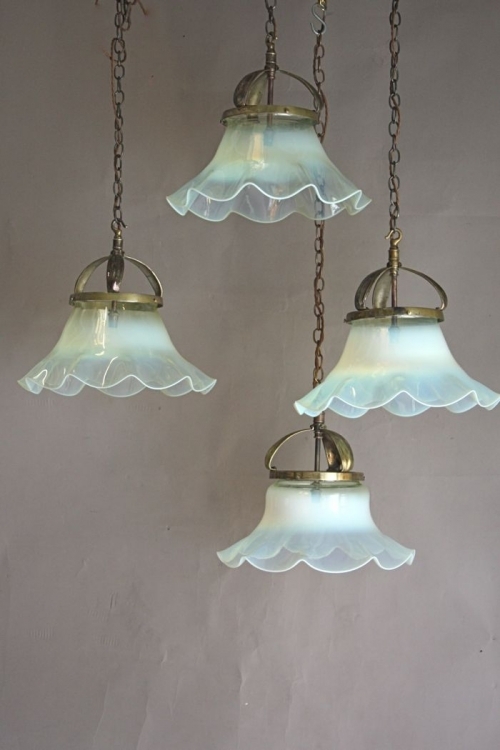 Vaseline glass was made during late Victorian times and post 1950, it is often associated with the Art Nouveau period 1890 to 1910 and was used in a lot of early English and American lighting for shades. 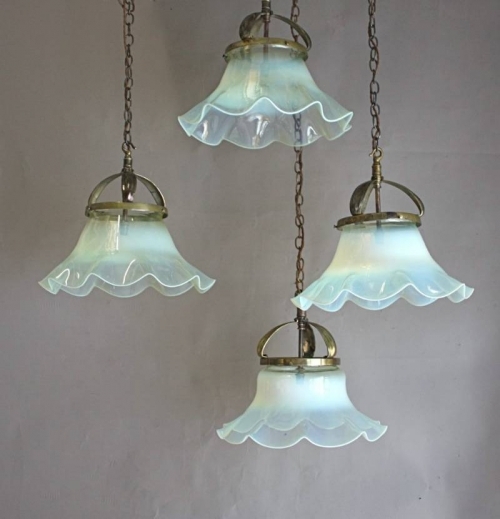 The Art Nouveau period has not been fashionable lately but one off pieces such as these always attract attention. Delicate in colour and suiting a traditional interior, we also tried them out with a funky bulb inside which actually didnt work well!